Welcome to Headlocks Mobile Locksmiths Cornwall, I provide 24 hour local locksmith coverage in all areas of Cornwall to both residential and commercial customers for services such as home or business premises lock out emergencies, vehicle lock outs, lock replacement and repairs. All work carried out is fully insured and guaranteed. No call out fees or VAT charged. 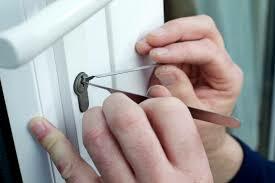 I aim to provide quick and non destructive entry wherever possible and am trained in all the latest locksmith techniques for gaining entry to a wide range of different types of doors and locks whether it be wooden or UPVC doors, mortice or cylinder locks. I also provide a vehicle entry service, again using non-destructive methods, for when keys get locked in the car. I provide lock replacements for all residential and commercial needs including garage doors, UPVC door repairs, and carry an extensive range of stock including the new British Standard 3621 door locks, mortice locks and window locks which means I can usually complete the job there and then. Being based in Cornwall means I understand both the rental market and holiday letting market & services. I fit key safes which provide security for the holiday home owner and convenience for the visitor regardless of their arrival time. 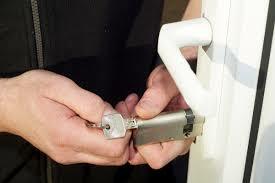 I also provide a fast, professional lock change service to secure your property should you have a change of tenant.